by gillian claire: meet asher. born july 22 at 6:11 p.m.
i couldn't beleive he was so small, exactly two pounds less than his brother! after a wonderful natural childbirth, asher spent a long week in the special care nursery. 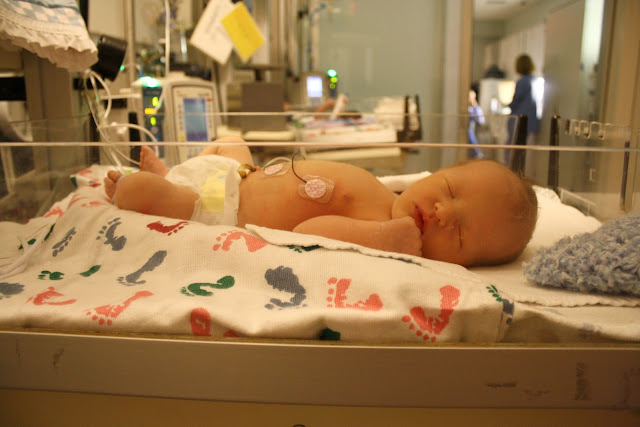 he had decided to start breathing right before he was born, and aspirated amniotic fluid. oh he is beautiful!!! and my 2nd boy btw was smaller than my 1st ;-) - by almost 2 lbs s well!